Reprint. Originally published: as Little big man. 2018. 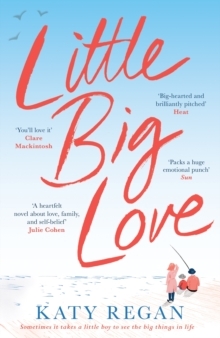 **Previously published in hardback as Little Big Man**`Katy Regan broke my heart and put it back together again with Little Big Love' Lucy DiamondLiam Jones is the love of Juliet's life. He was her brother's best friend first, then hers, then the father of her son. In those shining weeks after Zac was born, she'd never been happier, and neither had Liam. Until the night he disappeared without a trace. Zac is now ten, and collects facts: octopuses have three hearts; the world's heaviest man weighed over 100 stone; only three species of animal have a blue tongue.